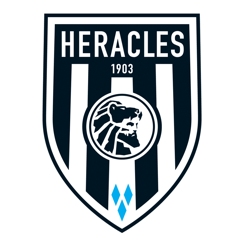 Heracles Almelo was facing a challenge with regard to ticket sales. C4Real helped Heracles Almelo to create a 3D interactive stadium to stimulate ticket sales and for use in exploring the new stadium. Supporters can view the field from a number of different vantage points. The system is linked to the ticket sales system, thus enabling supporters to purchase their tickets or subscriptions instantly. Heracles Almelo has had its existing stadium converted into a new, larger capacity stadium. The result is a lot of additional seating for supporters and these seats have to be sold. The combination of new stadium plus additional supporters highlights the challenge: ticket sales and visualising a stadium that has not yet been completed. We developed a 3D interactive stadium to help supporters visualise where they would like to buy tickets: an application for mobile devices that allows supporters to look around the stadium. This experience makes choosing a seat easier and stimulates ticket sales. For several weeks, the app topped the entertainment charts for the Android App Store in the Netherlands.